The Abs Express class is offered for $20 per month in the Recreation and Fitness area. The class lasts only 20 minutes on Mondays and Wednesdays from 5:05 to 5:25 p.m., Health and Fitness Specialist Marlene Shugart said. If you have purchased the Group Fitness Pass then the class is included in the $50 price, she said. The Abs Express class is designed to strengthen all of your abdominal muscles as well as improve your lower back strength, according to the OCCC Spring Fitness & Enrichment program. This class is designed for all fitness levels which should encourage all to attend, Shugart said. “It really helps improve lower back strength and it’s great for working your entire core,” Shugart said. Most would think that it would be a rip off to pay $20 to workout for twenty minutes but Shugart said she believes it is worth it. Some students would be more inclined to purchase the Group Fitness Pass. 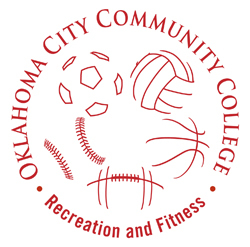 The Group Fitness Pass includes 16 different class options for $50 per semester. On the other side of the spectrum, some students are enticed by the intense but short class period. “I think it is attractive because it is only 20 minutes and it really packs a punch,” Shugart said. The class varies each class period depending on different variables. The class is limited to 25 because of limited access to equipment such as mats and workout balls. Shugart, said there is still room to sign up for the class in February. For any more information involving the Abs Express or any other fitness classes, you can contact the Wellness Desk at 405-682-1611 ext. 7310.